Ultherapy is a nonsurgical, no downtime procedure for lifting and tightening of the face, neck, and chest. Ultrasound is focused below the skin surface to lift and tighten the skin. Results are long lasting and occur gradually over time. It has been established to be safe and effective in clinical studies and over 350,000 treatments worldwide. With time, facial and neck skin and tissues begin to shift downward, resulting in an older and tired looking contour. Ultherapy treatment triggers the body’s own regenerative process of building new collagen to lift and tighten the skin gradually, naturally, and from the inside out. Ultherapy delivers focused ultrasound to the same foundational layer targeted by plastic surgeons during a facelift or browlift – without cutting or disrupting the skin surface. The energy initiates the body’s natural response to stimulate the growth of fresh, new collagen within the skin, to lift and tighten over time. Meaningful, noticeable and natural-looking results occur over time, without surgery. Although the results of Ultherapy may not be as dramatic as a surgical treatment, Ultherapy provides significant lifting to sagging jowls, jawlines and brows. It is ideal for patients looking for results but are not ready for a surgical facelift or browlift. Unlike surgery, there is NO downtime following Ultherapy and the procedure is comfortable and safe. Can Ultherapy be used for rejuvenation of the chest? Yes. Ultherapy is FDA-cleared not only for facial and neck rejuvenation but for the chest region as well. Ultherapy may be used on the V-neck region of the chest to lift the tissues, softening textural changes such as the vertical wrinkles between the breasts. How long until I see results from Ultherapy and how long does it last? Skin lifting and tightening following Ultherapy takes approximately 3-6 months to occur. Immediate skin tightening is often visible immediately following treatment. A single treatment may yield significant results. Ultherapy results last at least one year, and often for longer period of times. Patients with significant skin sagging may consider a series of multiple treatments spaced at 6 month to yearly intervals to increase the effect of tissue tightening from Ultherapy. Patients with relatively good skin elasticity or “spring back” respond more readily to treatment. Younger patients may have more dramatic responses. 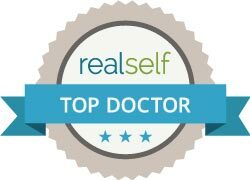 The ideal candidate is a patient with good skin elasticity in their 40s to 50s with mild to moderate skin sagging of the face and neck. However, patients outside this age group or with more compromised skin quality may still benefit from Ultherapy. These patients often require multiple treatments and should expect more conservative outcomes. What Is the Ultherapy procedure like? We take measures to make the experience as pleasant as possible with premedication, if desired, cooling fans, and topical anesthesia. In addition, Pro-Nox (link to Pro-Nox page), a nitrous oxide delivery system, is available as an inhaled analgesic for further relief of any discomfort or anxiety. What are the possible side effects of Ultherapy? Adverse effects from Ultherapy are few and often avoided with proper treatment. Mild redness or a hive-like reaction is possible but rare. Bruising is possible but unlikely. Tenderness in the area of treatment is typical for up to 2 weeks following treatment but is mild and temporary. Numbness in the area of treatment is possible but unlikely with proper technique. Can I combine other cosmetic treatments? Click here to simulate what you would look like taking a selfie after you receive Ultherapy treatment! At Summit Dermatology, we are committed to offering our patients the latest cosmetic advancements in a safe, relaxed, and comfortable environment. Contact Summit Dermatology to schedule your consultation.